​My masala dabba is a round stainless steel box with seven round compartments. 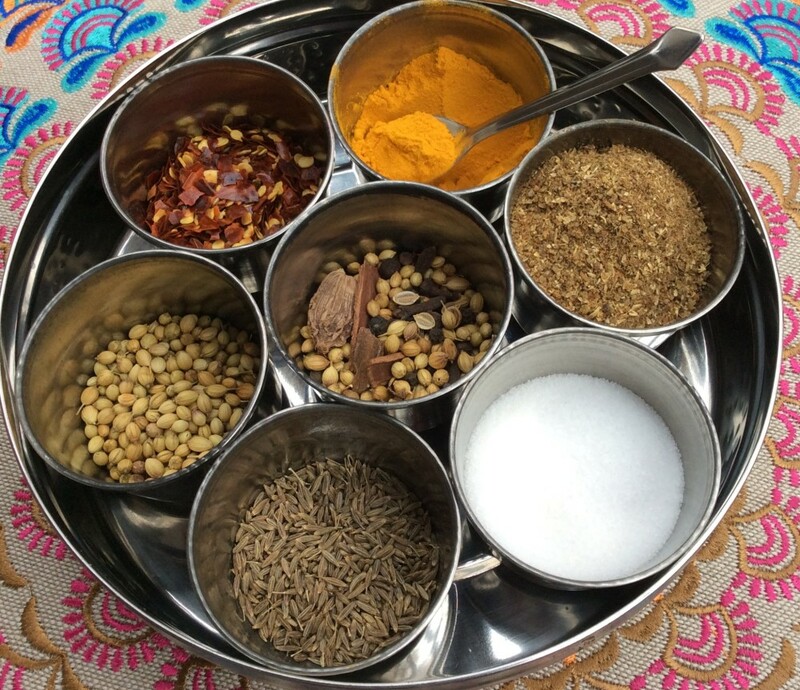 The Indian cook will then fill these compartments with his/ her seven favorite regularly used spices. Here are the common spices that are in my masala dabba; Salt, Turmeric, Garam masala, Red chili powder/Red Pepper flakes, Cumin seeds, Coriander seeds, and garam masala ready to grind. Sometimes I have two compartments with garam masala that is ground. You can purchase one at your local indian grocery store, they are also available on Amazon.